Dancers require high performance footwear. Therefore Bloch introduces the first of two new models of its Stretch Series line, this version is aptly called, Superlative. The stretch-satin upper hugs to the shape of your foot, creating a beautiful line like no other pointe shoe can and the Relevease insole gives you unparalleled support through demi and onto pointe. The full stretch-satin upper molds the foot, preventing any wrinkles when performing. Bloch’s revolutionary new innovation of the Relevease insole uses biomimicry to echo the function of the human spine, allowing you full flexion to demi with full support when on pointe. 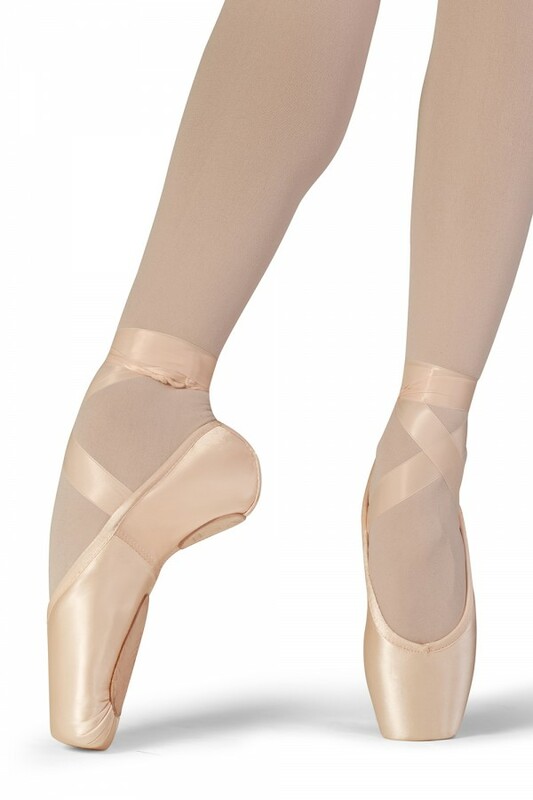 The vamp is beautifully shaped with a graduated toe box made with long lasting, all natural materials and Bloch A-Paste formula for superior performance and support. The high quality full stretch-satin upper has a super comfortable stretch lining with leather at the heel for grip, that gives you a sports-sneaker feel. A flat profile removes the rocky/bulky feel while standing flat. The durable, full grain leather split sole outsole, with turn shoe construction, provides ultimate traction and control. Superlative has an extremely flattened platform that gives you excellent stability and balance in all directions. It has a removable internal cushion for the toe box for added comfort if the dancer chooses and noise reduction technology under the pleats to keep you silent on stage. Ribbons and elastic sold separately.